There is a massive difference between playing the game and winning at it. 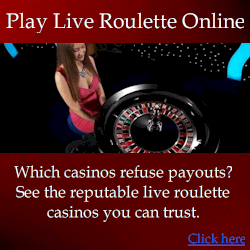 Roulette is quite the deceptive game and most of the people that play it end up winning much less money than they lose. It might seem simple since with wagers like black or red and even and odd, people assume that they have a 50% chance to win. If you add this false information to the tons of misleading math systems that are being sold to the gullible, there is no wonder that casinos see love seeing their tables full. However, the pleasant news is that you can learn how to master the game. The even better news is that it might be science, but it is not rocket science. When you open an app and join a roulette table, you will observe that the wheel is separated into 38 colored and numbered slots as well as a table with the exact same colors and numbers. You can place your bets and hope that the ball that spins on the inside of the wheel will land in the slot that you bet on. A big part of understanding the fundamentals of the game is choosing the proper app for playing roulette. After all, the development of the top casino apps for smartphones and tablets made it possible to play classic betting games on any device. In the United States, the wheel has a total of 38 numbers. It has the numbers from 1 to 36 as well as a 0 and a double zero. All of them are colored with black or red, with the exception of the latter two, which are located on green slots. The figures are placed in a random pattern, but the colors take turns to be red or black. In Europe, the wheel is exactly the same, except there are only 37 slots. This means that there is no double 0. The table has the numbers arranged in three columns in the order they appear on the wheel. Each column contains 12 numbers. To the outside of these columns are boxes that you can bet on that range between 1 and 18 and 19 and 38, two to one column bets, a black and red diamond to wager on colors as well as odd and even bets. At the top are the spots for the zeros. The croupier spins the wheel in a direction and after that spins the ball of the wheel in the other direction. The wheel slows down, so gravity pulls the ball where it lands in one of the slots. Usually, the ball bounces between three and five times before it comes to rest. If your bet hits, you are the winner. You might be tempted to wager on black or red, or even or odd, because you think that you will have a 50% chance to win, you should not. These would be your chances if the wheel did not have any green spaces. However, since it does, each of these bets has 18 positive outcomes, 18 negative, that do not include the 0 and 00. This means that you have a 52.63% chance that you will not win, even if this is a simple wager. However, math tells us that the casino keeps a 5.26% advantage every time on each bet. 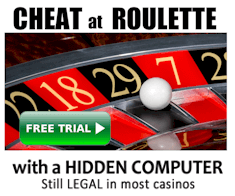 According to bestbettingapplications.co.uk, there are a lot of systems that are being sold online and in the casino gift shops that claim to teach people how to beat roulette using phony math tricks. Most of these strategies are almost as ancient as the game itself. However, every system has the exact same flaw. They try to tell you that the previous spins have some type of cosmic relationship with the next ones. The truth is that it doesn’t matter what has happened in the past, as each time the wheel spins, the odds of the ball to land on a specific number or color are exactly the same. Even if the ball landed on red one hundred times in a row, the chance of it landing on red again are still 48.6%, which are the same for black and 2.7% for it to land on green. These percentages do not change based on the past spins. A lot of other systems are based on money management and make some mathematical sense. The only problem with them is that the operators know about them and they have put in place their own systems to make sure that they will not work. The oldest and most common of this type of strategies are known as progressive betting. These include the Grand Martingale and the Martingale. The thought behind them is that if you double your wager every time you lose, you will eventually win. This does make sense, but the house puts limits on the tables, so you cannot do this after the seventh or eighth consecutive loss. For instance, if you wager $10 on red, and you lose, you will bet $20 the next time. If you win, you will get $40 which is more to cover both of the bets and make a $10 profit. However, if you lose again, then you will have to bet $40, which makes your total bet of $70, but your profit will still remain $10. The next will be 80, 160, 320, 640 up to 1280. At the eighth bet, you will have put down $2550, for the chance to win $10. Some tables might have the limit of 500$, which means that you will not be able to double your bet and your money will be in trouble. In reality, mathematical strategies are encouraged by the operators, since they do not work. Some casinos even make it easy for you, by posting the last spins on large neon boards. They are aware that a lot of players are easily fooled to believe in math that states that specific numbers or colors are due in spite of the odds. If you want to find out how to truly master roulette, then you will need to look past the math and focus on science. These might be related, but they are quite the different approaches. The science behind the game is quite simple, there is a spinning ball, a spinning wheel, ball bounce and gravity. All of these are elements of physics. When you start understanding the physics of the game, you will be able to predict the outcomes as well as increase your odds and eventually win. You are probably wondering if this is so easy, why has no one done this before. In reality, they have. Back in 1891, Joseph Jagger found out that a percentage of the wheel would have a small bias and hit specific numbers with a higher frequency than normal. Jagger understood that there had to be only 1% bias for him to make money and beat the odds. A higher percentage meant that he would be rolling in cash. He took his theory to Monte Carlo and for a little more than a week, in spite of the casinos’ efforts to stop him, he became known as the man who broke Monte Carlo taking from them between $4.5 and 7 million in today’s value. Recently, a group of eastern Europeans did the same thing in England in the Ritz casino, but they were using smartphones to forecast the numbers based on the speed of the wheel spin and ball bounce. What we are saying is that people have been using physics to beat the casinos for approximately 150 years. A lot of casinos do not take large sums anymore so the clever thing to do is to take tinier amounts over a long period of time, so that you would remain undetected while doing so. There are a lot of physics lessons and tools that are available, which will teach you to find the dominant diamonds and increase your odds. However, the top way to use science to win is by using an actual roulette computer or any other computerized assistance. The benefit of the computer is that it is more accurate and can defeat more wheels. However, more than half of the casinos do not allow them, and you might be caught. So, the best thing out there nowadays is a cross-reference strategy that maximizes the advantages of all of the methods. If you learn how to find the bias in a wheel, staying undetected while using your knowledge, and figuring out which wheels are worth playing on, you will not simply master roulette, you will also know how to make money while playing.